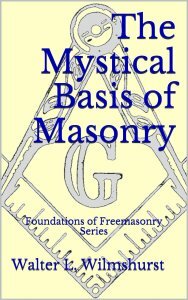 Acclaimed masonic writer, W. L. Wilmshurst approaches this topic with fervor, asserting that, “Masonry was not intended to be, and is not, a high-grade Friendly Society and its charitable energies are merely an incident of, and not the motive for, its existence. That it is a school of morality, tending to promote peace and goodwill amongst men, which is also wholly true, again fails to suffice, for men need not join a secret society, or enter into the obligations of silence required therefrom, merely to learn rudimentary ethics which it is the common duty of the whole world to know and practice.” Instead, Wilmshurst points to our masonic journey as a, “quest of the Grail” or “the search for the Lost Word, or the guarding of am empty Sepulcher; we may term it the achievement of the Great Work, or the discovery of the Philosopher’s Stone,” all the while acknowledging the monumental writings of A.E. Waite, as he goes.